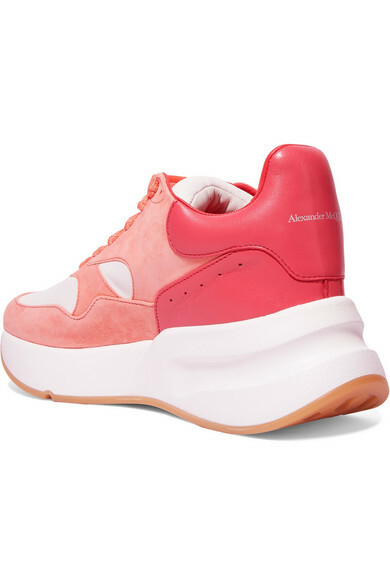 Alexander McQueen's exaggerated-sole sneakers were introduced in 2015, and have remained one of the brand's most popular styles ever since. 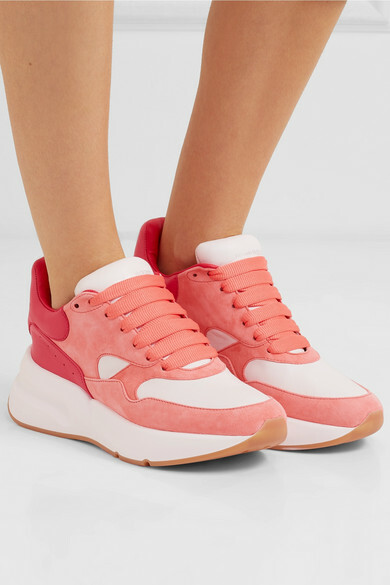 Made from soft suede and leather, this pair comes in a peach, orange and white colorway and is stamped with silver logos on the tongue and heel. 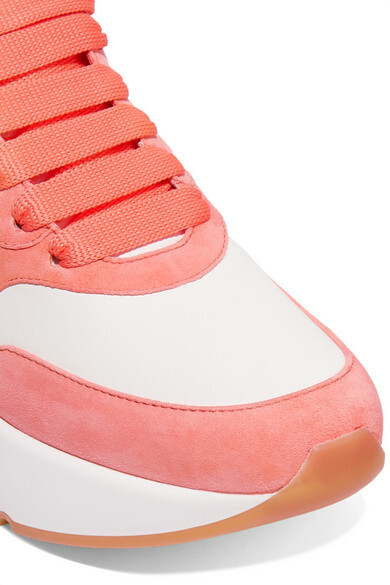 Wear them with everything from tailoring to dresses, adding equally bold socks. 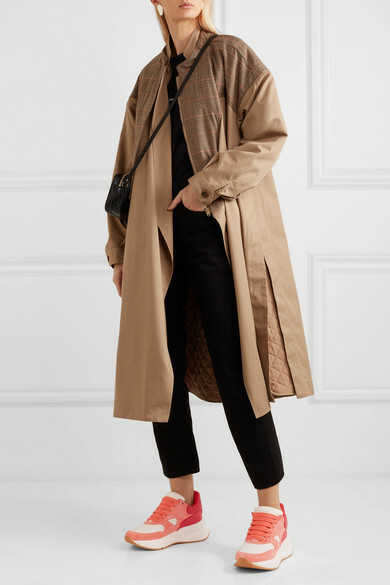 Shown here with: Preen by Thornton Bregazzi Coat, Stella McCartney T-shirt, Totême Jeans, Alexander McQueen Shoulder bag, Leigh Miller Earrings.